← LA: Shabazz Palaces, Gonjasufi, Ras G, Samiyam and more! 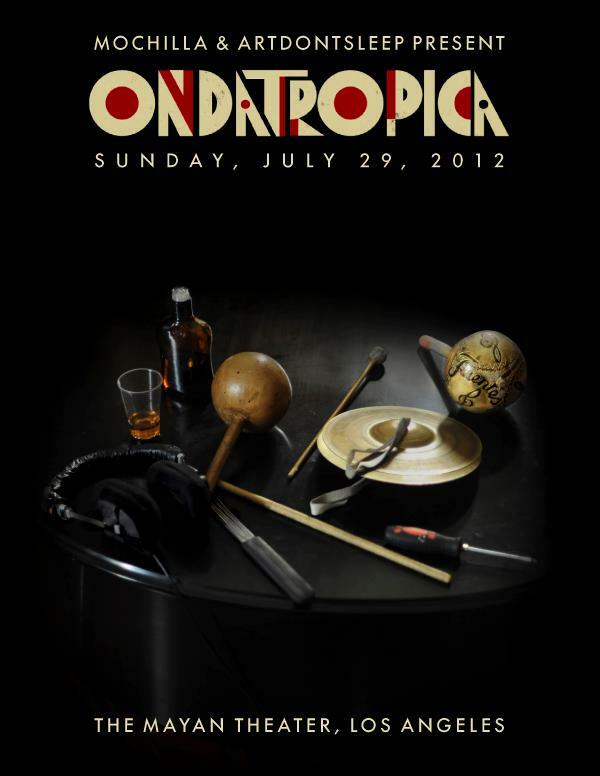 Ondatropica in Los Angeles on Sunday 7/29! feat: Michi Sarmiento, Pedro “Ramaya” Beltran, Mario Galeano (Frente Cumbiero), Will “Quantic” Holland, Wilson Viveros, Markitos Mikolta, Alfredito Linares, Nidia Gongora, Juan Carlos “Chongo” Puello, y Mas. 15$ Early Bird :: 20$ Presale :: 25$ @ DoorFrom us to you, a super special Ondatropica Mix to get you ready for Sunday! Ondatrópica’s debut album was released on Monday July 16th on CD, 2xCD, 3xLP & download through Soundway Records http://www.soundwayrecords.com/ and through iTunes! This entry was posted in Live, LivePerformances, Los Angeles, Mochilla, Music and tagged ArtDontSleep, Colombia, Cumbia, Frente Cumbero, Mochilla, Ondatropica, Quantic. Bookmark the permalink.